As per ASTM D 1603, IS 4984 and IS 2530 to determine carbon black content of plastics. • Size of furnace : 10 inch x 8 inch x 8 inch. • Material of construction: M.S. 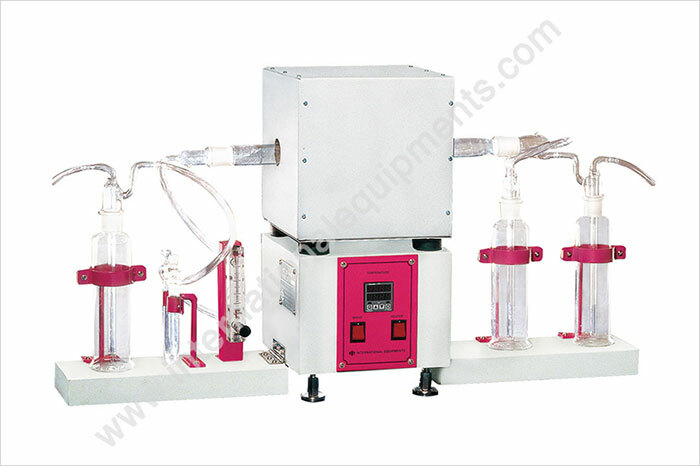 • Accessories : Desiccator, Glass U tube, Combustion tube, Combustion boat, Rotameter, Rubber tube [1 no. each],Glass end caps - 2 nos. and Glass traps - 3 nos.